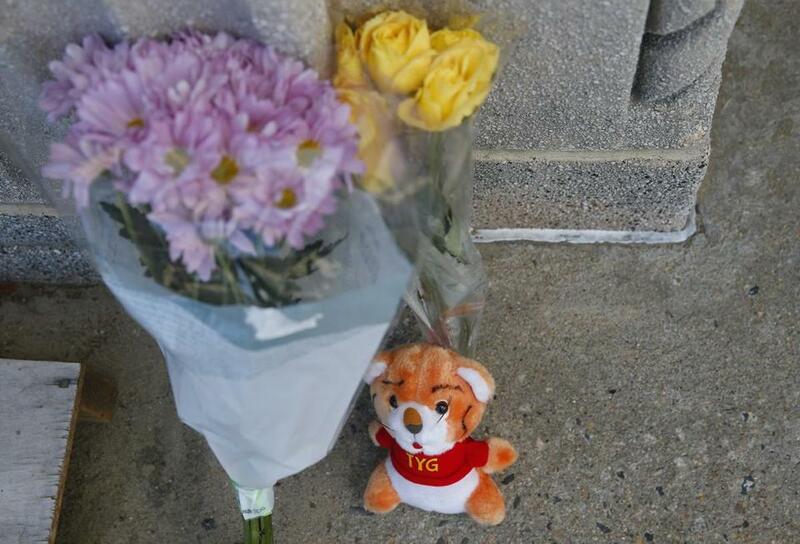 A makeshift memorial at the L Street Bath House. Two days after the death of a young boy who went missing while attending a city-run day program in South Boston, key details about the tragedy remain a mystery. • Kyzr Willis, 7, was one of 56 children attending a drop-in program run by the city’s Centers for Youth and Families at the Curley Community Center in South Boston Tuesday afternoon, when he went missing. • Authorities say they were alerted of Kyzr’s disappearance by a 911 call at about 2:45 p.m. and were told that Willis had last been seen about a half hour earlier, at 2:15 p.m., in the L Street Bathhouse, which is part of the Curley Center. • At about 7:10 p.m., Kyzr’s body was found in the water off Carson Beach, about 20 yards offshore in front of the bathhouse, police said. Investigators believe he had been in the water for at least three hours, a law enforcement official with knowledge of the investigation told the Globe. A look at what happened in the death of Kyzr Willis. • Police have said the death appears to have been an accident. • The camp, which runs from 10 a.m. to 3 p.m. Monday through Thursday, was supervised by 25 teenage counselors, two supervisors, and the director of the Curley Center, city officials have said. There were also eight lifeguards on duty, including at least two assigned to the section of the beach where the children gathered. • The hours-long search for Kyzr initially focused on land and began with the belief that he may have wandered off toward his Dorchester home. Boston Police Commissioner William B. Evans has said efforts to find Kyzr were complicated by conflicting information provided by witnesses, including children, at the scene. • One law enforcement official with knowledge of the investigation has told the Globe that camp counselors appeared to have no solid information about Kyzr’s whereabouts. They told investigators the boy was last seen leaving the bathhouse and headed for the street, which sent officers out to scour the neighborhood, according to the official, who spoke on the condition of anonymity because the official is not authorized to speak to the media. • There are no surveillance cameras along William J. Day Boulevard near the center, city officials have said. • Kyzr’s mother, Melissa Willis, said no one at the camp ever contacted her to say her child was missing. Instead, she said, her 9-year-old niece called to tell her he was missing. • Willis said that Kyzr’s 9-year-old brother, Ralph, was at the camp with him Tuesday. Ralph told her that they got out of the water, and while Ralph went to get a drink, Kyzr went inside. Then, Kyzr was gone. • Kyzr, whose name is pronounced “Kaiser,” was scheduled to attend first grade at the Mather Elementary School in the fall, according to his mother, who has described him as a strong, daring, intelligent, outgoing boy, and a good swimmer. • City officials on Wednesday placed the center’s director on paid leave, appointed an acting director of the center, and launched a review of more than 50 drop-in and summer camps run by the Centers for Youth and Families. 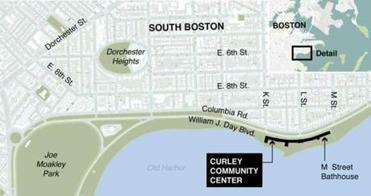 • The Curley Center reopened to adults Thursday, but remained closed for youth programs as the investigation continues. Mayor Martin J. Walsh said Wednesday that he expected children to be able to return to the center on Monday. In the meantime, the city was set to provide bus transportation to children who would have normally gone there. • Investigators have said they are still trying to understand how Kyzr slipped away from counselors and lifeguards that were present. Boston Police Detective Lieutenant Michael McCarthy said Thursday that “the investigation remains active and ongoing,” but that police had no other updates on the case. • Officials have also been trying to determine what happened during the time between when Kyzr went missing and when authorities were alerted. Walsh has declined to say what steps center employees took to locate Kyzr before alerting authorities, but has vowed to provide more details later. • The city has not identified the center director who was placed on leave.